Walter D. James III focuses his practice primarily on environmental counseling and environmental litigation, which includes civil and criminal enforcement, cost recovery litigation and toxic tort/property damage matters. Mr. James has extensive experience in counseling clients in remediation matters nationally, both at federal and various state sites, including Voluntary Cleanup Programs. His environmental litigation experience also covers administrative proceedings under various federal environmental statutes. His civil litigation experience includes defending and prosecuting cost recovery litigation under both state and federal law, in both state and federal court, and defending citizen suits. Mr. James has served as common counsel and coordinating counsel for several defense groups and potentially responsible party groups. Mr. James has also counseled and defended clients faced with environmental criminal enforcement, from the grand jury stage through trial and appeal. 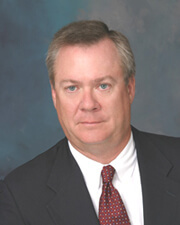 His experience includes the defense through trial and appeal of multiple defendants under a multi-count indictment alleging felony allegations under the Resource Conservation and Recovery Act (“RCRA”), the Clean Water Act (“CWA”), the Comprehensive Environmental Response, Compensation and Liability Act (“CERCLA” or “Superfund”) and the Marine Protection Research and Sanctuaries Act (more commonly called the “Ocean Dumping Act”). He also has an extensive practice in the defense of toxic tort matters relating to chemical exposure and related property damage claims as well as the prosecution and defense of property damage claims. Mr. James has also successfully defended clients in product liability and catastrophic injury litigation. Admitted, Texas 1987; Admitted, United States District Courts for the Northern, Southern, Eastern and Western Districts of Texas; Admitted, United States Court of Appeals for the Fifth Circuit and the District of Columbia; Numerous pro hac vice admissions to state and federal courts throughout the country. Past Council Member, Section of Environmental, Energy and Resources. Past Vice-Chair, Environmental Enforcement and Crimes Committee For the Section of Environmental, Energy and Resources. University of Nebraska – Omaha, B.S. (Political Science) 1984. Southeast Texas Environmental, L.L.C., et. al v. BP Amoco Chemical Co., et. al, Cause No. 03-CV-0950, In the 10th Judicial District Court of Galveston, County, Texas. Anglo Metal, Inc. v. TRW Automotive Products, Inc., et al., Civil Action No. B-99-141, In the United States District Court for the Southern District of Texas, Brownsville Division. Texas Industries, Inc. v. City of Dallas, Cause No. 95-12561-H, In the 160th Judicial District Court of Dallas County, Texas. Heath and Company, v. General Battery Corporation, Civil Action No. 3:93- CV0581-D, In the United States District Court for the Northern District of Texas, Dallas Division. NL Industries, Inc. v. Allied-Signal, Inc., et al., Civil Action No. CA3-9-2623-R, In the United States District Court for the Northern District of Texas, Dallas Division. United States v. Marvin Pesses, et al., Civil Action No. 90-0654, In the United States District Court for the Western District of Pennsylvania. McRae Newell Company, Inc. and Phillip J. McRae v. Exide Corporation, Cause No. DV-98-04564-D in the 95th Judicial District Court of Dallas County, Texas. Lake Properties v. Rockwell International Corporation, et al., Civil Action No. G-95-288, In the United States District Court for the Southern District of Texas, Galveston Division. San Diego Unified Port District v. Bay City Marine, Inc. et al., Civil Action No.950355B, In the United States District Court for the Southern District of California. United States v. Odfjell Westfall Larsen, CR-87-220, In the Southern District of Texas, Houston Division (Thirty seven county indictment under the Marine Protection, Research and Sanctuaries Act, the Clean water Act, the Resource Conservation and Recovery Act and the Comprehensive Environmental Response, Compensation and Liability Act). United States v. Baytank, 934 F.2d 599 (5th Cir. 1991). Larry Lee Martin, et al. v. Commercial Metals Company, et al., Cause No. 02- 4312-K, In the 192nd Judicial District Court of Dallas County, Texas. James Clarence (“JC”) Morris II, et al. v. Hydro Conduit Corporation, et al., Cause No. DV00-04222-E, In the 101st Judicial District Court of Dallas County, Texas. Trena McGree, Individually, and as Next Friend of Darius Montreal McGree and Shaquala Antonique McGree, Minors, et al v. Exide Corporation and NL Industries, Inc., Cause No. DV99-01006-J in the 191st Judicial District Court of Dallas County, Texas. Linda Patricia Flores-Gonzales, a Femme Sole v. Exide Corporation and NL Industries, Inc., Cause No. 02-09605 in the 191st Judicial District Court of Dallas County, Texas. Richard Amerson, et al. v. TXU Electric Company, et al., Cause No. 29,433, In the 76th Judicial District of Titus County, Texas. John Alford, Jr. et al. v. TXU Electric Company, et al., Cause No. 01-275-B, In the 87th Judicial District of Freestone County, Texas. Robert Abernathy, et al. v. TXU Electric Company, et al., Cause No. 2001-333, In the 4th Judicial District of Rusk County, Texas. Jose Luis DeLeon, et al. v. Exide Corporation, et al., Cause No. DV98-2669, In the 44th Judicial District Court of Dallas County, Texas. Earline Jackson, et al. v. Waste Management of North America, Inc., et al., Cause No. 91-04-47,386, in the 40th Judicial District Court of Ellis County, Texas. In re Lone Star Steel Mill Litigation, Master File No. 1, In the 76th Judicial District Court of Morris County, Texas. Marquis R. McGee, et al. v. RSR Corporation, et al., Cause No. DV-99-05472-B, In the 44th Judicial District Court of Dallas County, Texas. Elzina Avalos, et al. v. Atlantic Richfield Company, et al., Civil Action No. H89-3487, In the United States District Court for the Southern District of Texas, Houston Division. Lester Curette et al. v. Atlantic Richfield Company, et al., Civil Action No. H89-3487-A, In the United States District Court for the Southern District of Texas, Houston Division. Rose Ann Barrett, et al. v. Atlantic Richfield Company, et al., Civil Action No. H89-3487-C, In the United States District Court for the Southern District of Texas, Houston Division. Linda Adolph et al. v. Atlantic Richfield Company, et al., Civil Action No. H90- 3657, In the United States District Court for the Southern District of Texas, Houston Division. Mary Alston et al. v. Atlantic Richfield Company, et al., Civil Action No. 1:90CV626, In the United States District Court for the Eastern District of Texas, Beaumont Division. Rose Marie Dumes, et al. v. Houston Lighting and Power Company, et al., Civil Action No. C -90-330, In the United States District Court for the Southern District of Texas, Corpus Christi Division. Ida Trevino, et al. v. Houston Lighting and Power Company, et al., Cause No. 92-2996-B, In the 117th Judicial District Court of Nueces County, Texas. Tommy Nelson Foster v. Westinghouse Elevator Company, Cause No. 89-00312, In the 157 Judicial District Court of Harris County, Texas. Tommy Nelson Foster v. Westinghouse Elevator Company, No. C-07-96-322-CV, In the Court of Appeals for the Seventh Judicial District of Texas. Chris Farley and Debra Farley, Individually and as Next Friends of Michelle Farley, Weston Farley and Kayci Farley, Minors v. Davis Tire Company/Davis Tire Company v. Exide Corporation; Cause No. 97-08590 in the 353rd Judicial District Court of Travis County, Texas. John Francis Clayborn, Jr. v. Autozone/ Autozone, Inc. v. YUASA-Exide, Inc. and Exide Corporation, Cause No. 97-5167-G in the 319th Judicial District Court of Nueces County, Texas. Michael Cleaver v. Montgomery Ward & Co., Inc. and Exide Corporation; Cause No. 98-08251 in the 250th Judicial District Court of Travis County, Texas. Thomas Harper v. Exide Corporation; Cause No. CJ-2000-80 in the District Court of LeFlore County, Oklahoma. Gloria Trevino and Spouse, Rene Trevino v. Jaime Argelio Camacho and Exide Corporation, Cause No. C-2159-01-C in the 139th Judicial District Court of Hidalgo County, Texas. Malone Service Company Superfund Site, Texas City, Texas. RSR Corporation Superfund Site, Dallas, Texas. Sapp Battery Superfund Site, Cottondale, Florida. Interstate Lead Company Superfund Site, Leeds, Alabama. NL/Taracorp Superfund Site, Granite City, Illinois. Poly-Cycle Industries, Inc., Tecula Site, Tecula, Texas. Poly-Cycle Industries, Inc., Jacksonville Site, Jacksonville, Texas. Ramona Park Superfund Site, Utica, Michigan. Ross Metals Company Superfund Site, Rossville, Tennessee. Refined Metals, Inc. Site, Memphis, Tennessee. Refined Metals, Inc. Site, Beach Grove, Illinois. Anglo Metals, Inc. San Juan East Site, San Juan, Texas(Common Counsel). Four County Landfill Site, Delong Indiana. Dixie Metals/Heflin Site, Heflin, Louisiana. Materials Recovery Enterprises, Inc. Site, Ovallo, Texas (Coordinating Counsel). Poly-Cycle Industries, Inc./Palmer Site, Palmer, Texas (Coordinating Counsel). Wortham Lead Site, Wortham, Texas. Co-Author/Speaker, The McNulty Memorandum, Nineteenth Annual Texas Environmental Superconference (2007). Chairman/Vice Chairman/Co-editor/Author: American Bar Association’s Section of Environment, Energy and Resources Law, Environmental Crimes and Enforcement Committee Newsletter (2001 – 2005). Co-Author, Environmental Crimes and Enforcement Committee 1996 Annual Report, Natural Resources, Energy and Environmental Law 1996 Year in Review (1996). Author/Speaker, The Investigation of Environmental Crimes: How to Prepare, React and Protect Yourself, Nuts and Bolts of Environmental Law, Houston Bar Association (March 15, 1996). Co-Author, Environmental Crimes and Enforcement Committee 1995 Annual Report, Natural Resources, Energy and Environmental Law 1995 Year in Review (1995). Author/Speaker, The Trial of an Environmental Criminal Case: Selected Issues in a Case Study, Environmental Crimes: Pre-trial and Trial Strategies, Section of Natural Resources, Energy and Environmental Law (1995). Co-Author, The Trial of an Environmental Criminal Case: Selected Issues in a Case Study, Section of Natural Resources, Energy and Environmental Law First Annual Meeting (1993). Author/Speaker, Agency Inspections: When They Don’t Bother to Knock, 15th Annual Independent Liquid Terminal Association Operating Conference (1995). Author/Speaker, Investigations of Environmental Crimes: How to React and Protect Yourself, 15th Annual Independent Liquid Terminal Association Operating Conference (1995). Author/Speaker, Agency Inspections: What Do You Do?, Fifth Annual Texas Environmental Superconference (1993). Author/Speaker, Terminal Rights to Confidential Information: Keeping Your Information Confidential, 13th Annual Independent Liquid Terminal Association Operating Conference (1993). Co-Author, Environmental Crimes and Enforcement Mechanisms, 12th Annual Independent Liquid Terminal Association Operating Conference (1992). Co-Author, Stormwater Discharges: New Regulations and NPDES Permit Requirements – Clean Water Act – Enforcement Mechanisms, Four Seasons Hotel, Houston (June 1992). Speaker, Criminal Enforcement of Environmental Laws, Loews Anatole Hotel – Dallas (February, 1992). Author/Speaker, Administrative Inspections: What Do You Do?, Independent Liquid Terminal Association Southern Regional Conference (1991). Co-Author, Lender Liability on Environmental Issues , 1989 Spring Conference, Texas Banking: Preparing for the ‘90s (1989). Author, Financial Institutions and Hazardous Waste Litigation: Limiting Exposure to Superfund Liability, 28 Nat. Res. J. 329 (1988).